For inquiries relating to any ticket purchased please call 778-729-0504 or 1-833-870-4188 or email knvlottery@mnp.ca. For the Millionaire Lottery a total of 299,000 tickets are available, with approximately 104,000 tickets @ $100 each (52,000 2-packs); 46,000 tickets @ 5 for $175 (9,200 5-Packs), 75,000 tickets @ 10 for $250 (7,500 10-Packs) and, 74,000 tickets @ 25 for $500, (2,960 25-Packs). While the number of tickets in each price category may change, the total number of tickets available, 299,000, will not. For the 50/50 Plus draw a total of 482,000 tickets are available with 68,000 tickets @ 2 for $15 (34,000 2-packs), 174,000 tickets @ 6 for $30 (29,000 6-packs) and 240,000 tickets @ 16 for $60 (15,000 16-packs). For the Daily Cash Plus Game a total of 180,000 tickets are available with 30,000 tickets @ 2 for $25, (30,000 2-Packs); and 120,000 tickets @ 6 for $50, (20,000 6-Packs). Each Millionaire Lottery ticket sold in a 2-Pack, or a 5-Pack or a 10 – Pack, or a 25-Pack, and each 50/50 Plus Lottery ticket sold in a 2-pack, 6-Pack or 16-Pack and each Daily Cash Plus Game ticket sold in a 2-Pack or a 6-Pack, must contain the same customer information. A ticket purchaser must purchase a Millionaire Lottery ticket in order to purchase 50/50 Plus Lottery and/or Daily Cash Plus Game tickets. Once you have purchased a ticket in the 2018 Millionaire Lottery, you are entitled to add 50/50 Plus Lottery tickets and Daily Cash Plus Game tickets without purchasing an additional 2018 Millionaire Lottery ticket. Please call customer service at 778-729-0504 or 1-833-870-4188 or email knvlottery@mnp.ca. A purchaser may purchase as many Millionaire Lottery, 50/50 Plus Lottery and Daily Cash Plus Game tickets as they wish, provided they purchase, or have purchased, at least one Millionaire Lottery Ticket or Pack. Ticket purchasers must be 19 years of age or older. Prizes are awarded tax free in Canada. The price of tickets is not deductible as a charitable donation for tax purposes in Canada. Friday, December 14th, 2018 at 11:00 am at VGH & UBC Hospital Foundation, 855 West 12th Avenue, Vancouver, BC. Loyalty Cash will be drawn first, followed by Fall Cash Prize. Wednesday, January 16th, 2019 at 11:00 am at VGH & UBC Hospital Foundation, 855 West 12th Avenue, Vancouver, BC. Thursday, January 31st, 2019 at Global TV, 7580 Enterprise St, Burnaby, BC from 8:00 am to 1:00 pm for all remaining prizes over $1,000. All prizes are drawn in order of ascending value, starting with the prize of least value. Balance of prizes drawn at MNP LLP, 15303 31st Avenue, 3rd Floor, Surrey, BC, Friday, February 1st, 2019 from 9:00 am to 11:00 am, or until completed. Prizes will be drawn in order of ascending value starting with the prize of least value. 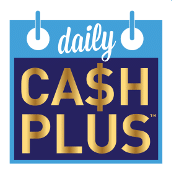 Daily Cash Plus Game Saturday to Thursday winners of $1,000 will be announced from February 2nd, 2019 to May 16th, 2019. Friday winners of $2,500 will be announced every Friday from February 2nd, 2019 to May 16th, 2019. The final prize winner of $50,000 will be announced on May 17th, 2019. Winners will be posted daily on the website, millionairelottery.com. All winners will be contacted daily except Saturday, Sunday and Holiday Monday winners, who will be contacted on the following business day. The following people are not permitted to purchase tickets in this lottery: board members and employees of VGH & UBC Hospital Foundation, partners and employees of: official auditors KPMG, MNP LLP and SCI. Non-residents of British Columbia may not order tickets by telephone, fax, mail or the Internet. A resident of British Columbia may purchase a ticket on behalf of a non-resident of British Columbia provided the ticket is purchased in person at a retail sales outlet (London Drugs, VGH & UBC Hospital Foundation, or one of the prize homes open and selling tickets). Tickets or receipts will not be distributed to, mailed or otherwise sent to a non-resident’s third-party address in B.C. A resident of British Columbia may purchase a ticket only if the entire payment transaction takes place while the person is physically in British Columbia and if the ticket or a receipt is issued at that time. When a resident of British Columbia is outside the province of British Columbia they may not place an order to purchase tickets. This restriction includes all methods of ordering tickets including mailing in your order. For further information on restrictions on purchasing, please see Standard Procedures for Ticket Raffles, Gaming Policy and Enforcement Branch, Province of British Columbia. The website for this information is www.gaming.gov.bc.ca/licences/docs/procedures-ticket-raffle.pdf. Please see Section 9 of the Standard Procedures for Ticket Raffles for specific details on purchasing restrictions. All prize draws will be conducted in accordance with Gaming Policy and Enforcement Branch – Standard Procedures for Ticket Raffles. Each ticket is eligible to win one prize in every prize category. The full winners list will be published on February 10th, 2019 in The Province newspaper. All valid prize values and descriptions are as submitted at the time of license application and are maintained by MNP LLP. If an error is made in advertising the prize descriptions or values, the descriptions and values as maintained by MNP LLP shall be correct and final and shall be used for awarding prizes. The records of MNP LLP shall be deemed correct if there is a discrepancy in numbers. All sales are final once the ticket number is assigned. The Licensee reserves discretionary right not to accept entries. The Purchaser is responsible for proof-of-ownership of shared tickets. Allow 2-3 weeks for delivery of your official ticket. Should you not receive your official ticket within 3 weeks, please call customer service on 778-729-0504 or 1-833-870-4188 or email knvlottery@mnp.ca. Should a prize be unavailable due to circumstances beyond the Foundations’ control, the winner shall be awarded the fair market value of the prize. The liability of the Foundation is limited to the ticket price paid. The Winner is responsible for the cost of shipping/delivery. *The grand prize winner will choose one grand prize option; the other six options will not be awarded. Winners will be notified by phone and/or mail by MNP LLP as to the prize(s) they have won and how to claim. Winners consent to the release of their names and photo by the Licensee. Winners have 1 year from the draw date to claim their prizes. A decision to take the prize or the cash equivalent of any prize awarded must be made within 10 days of claim. More complete prize descriptions are available at MNP LLP. If there is a discrepancy, the list and rules at MNP LLP shall be deemed correct. For enquiries relating to any ticket purchased please call 778-729-0504 or 1-833-870-4188 or email knvlottery@mnp.ca. We respect your privacy. VGH & UBC Hospital Foundation protects personal information and adheres to all legislative requirements with respect to privacy. We do not rent, sell, or trade our mailing lists. Information provided through ticket purchase will be used to deliver services and keep you informed on Foundation activities, including programs, services, special-events, funding needs, opportunities to volunteer or give and more, through periodic contacts. To be removed from these contacts, please call 604-875-4676 or email info@vghfoundation.ca.